At the beginning of the show, did bạn think Haley and Nathan were going to last? Do bạn think that brooke will ever tell anybody about what really happend? Assuming that they all get out alive, Do bạn think that after haley and jamie go though this whole nannie carrie ordeal with dan that it will bring them closer to dan? This câu hỏi is for những người hâm mộ who have memorized the sets and các điểm thưởng on OTH. Have bạn seen this image? If so, how was it used? I am a huge người hâm mộ and like most, I have craved the idea of One cây Hill's return... And after tossing around a few ideas, re-watching the show, and talking with other những người hâm mộ I figured there are probably only three logical scenarios. Here we go! 1. The hiển thị returns and picks up where season 9 left off minus the five-year jump. Let me state that I am a 100% LP fan. BUT I do not intend to insult BL những người hâm mộ hoặc Brucas. Nor do I hate Brucas. I don't wish to start any thảo luận on which couple is better. I respect the Brucas những người hâm mộ for their opinions as they should respect mine. This bài viết is gonna be fairly long so, please have patience and hear me out. Many reasons that some BL những người hâm mộ cite to insult Leyton however do concern me and I would like to share my các lượt xem on those. When keith is hiển thị Lucas how Brooke's life would've been if he would have been a thêm selfish person, brooke is seen at Peyton's head stone which dates that she died in March 1 of their senior year. However, wouldn't that only make Haley's pregnancy 3 months long? For some reason this bothers me. Also, the head stone shows that Peyton's birthdate is July 12 1988, making her 18 at the time of the shooting, but turning 19 that July. How many people do bạn know that turn 19 right after they graduate high school? During the time from the 4th to the 5th season, a lot had changed for Lucas and Peyton. 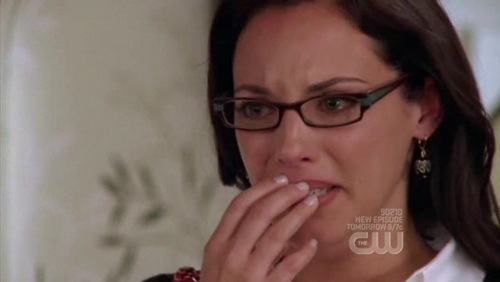 They not only broke up, but Lucas proposed to Peyton. The two went their seperate ways and Lucas finished his first novel. This led him to go on his first ngày with Lindsey after his first signing in Los Angeles, where Peyton saw him at the book store and witness Lindsey kissing Luke on the cheek making her think the two were dating. would have a positive effect on her. This does, and sparks a turnaround for Peyton, and she and Jake fall in love. bởi the end of the season, the two had mended the friendship and realized that after everything they could truly count on each other, despite their history. I can exclusively reveal that former One cây đồi núi, hill ngôi sao Hilarie burton has signed on for a recurring guest role as a craniofacial specialist who visits the hospital to work on a case. Burton, who first became known for Peyton Sawyer on One cây đồi núi, hill after a stint as a host on MTV's Total Request Live, has had a recurring role as Matt Bomer's tình yêu interest on USA's White Collar. Hello, I'm a student from England studying fandom culture. As a One cây đồi núi, hill người hâm mộ myself, I have found that this hiển thị has a very supporting người hâm mộ base, way after its ending. I would just like to ask what make bạn such a người hâm mộ of this amazing show? how has it changed your life? What components of the hiển thị make it so được ưa chuộng in your eyes? I know its changed my life in many ways, I would tình yêu to hear bạn các câu trả lời to help with my research! a comment was made to the pop quiz question: What did lucas đã đưa ý kiến ? a comment was made to the pop quiz question: Who đã đưa ý kiến this? "If bạn really wanna score, you've got to dig a little more. Go Ravens, Go Mighty Ravens." 30 ngày One cây đồi núi, hill Challenge!